My dear Sarah picked this book up for me for my birthday last month, after hearing me talk about Mount Vernon and the gardens there. I was so excited to get this book! 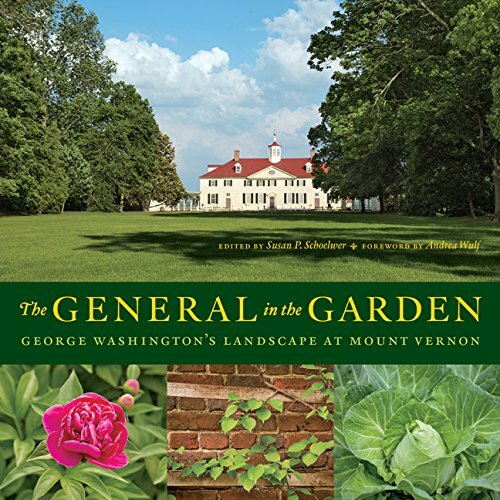 Filled with brilliant photographs, the horticultural history of Washington's mansion and grounds is documented within. I was very impressed by the staff's dedication to historical accuracy. At one point, they tore up several hundred tulips because, upon blooming, they discovered the variety was not period correct to George Washinton's day! This book also reveals a side to Washington few have considered. Even while fighting the Revolutionary War and as President, his heart was with his home, and his gardens. Presented within are letters to caretakers, gardeners, and others to dictate the planting and propagation of plants. Washington himself kept an experimental garden to test plants sent to him against the Virginia climate. The authors include historical documentation on the purchases of plants by Washington from other nurseries in the Colonial era; a fascinating and inspiring look at his gardening interests. I have been duly inspired in my own gardening aspirations after reading this book; though it must be admitted that Washington had a lot of help in managing his estate. Through my own limited means my goal is to combine landscape gardening with the practical kitchen garden, which is very much aligned with the practicality espoused in the gardens of Mount Vernon.